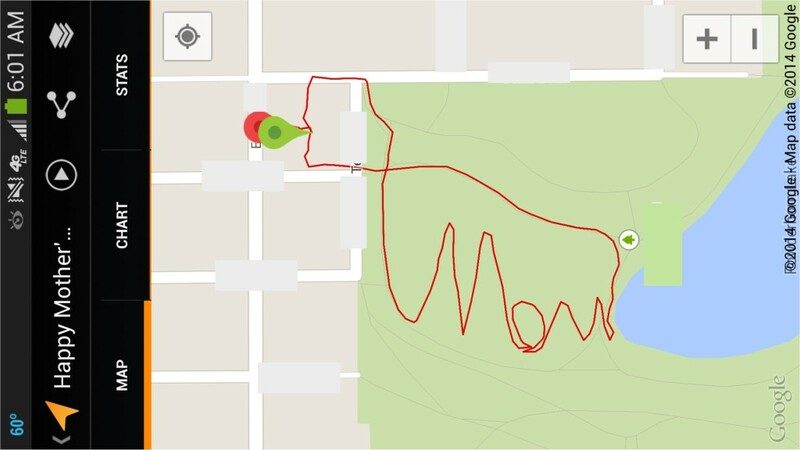 After posting my son’s Mother’s Day Google Tracks map run, some thought it was a picture of a dog. 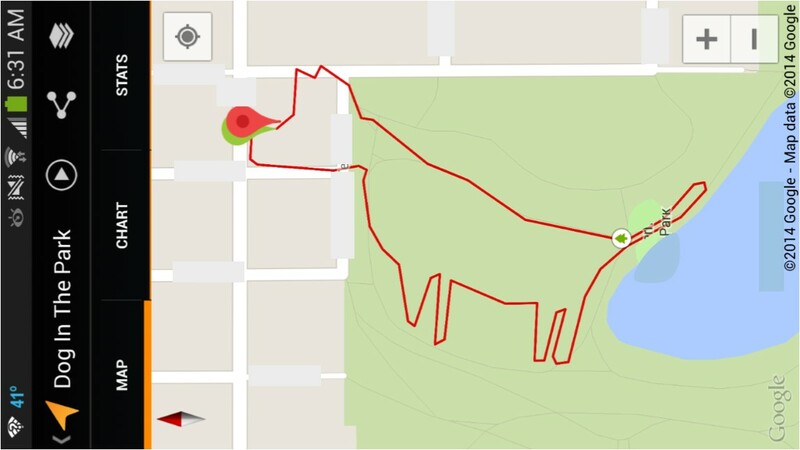 My son wanted to show everyone what it would look like if we really tried to make a picture of a dog. Here’s how it turned out.